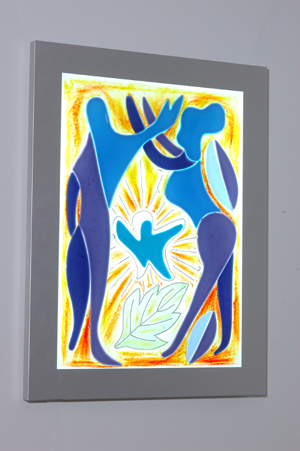 Glass design does not always have to be directly connected to the building and serve a purpose in that form (as i.e., a window or door). 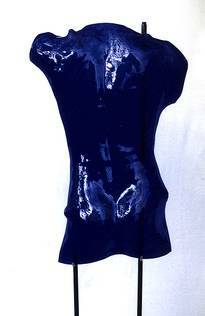 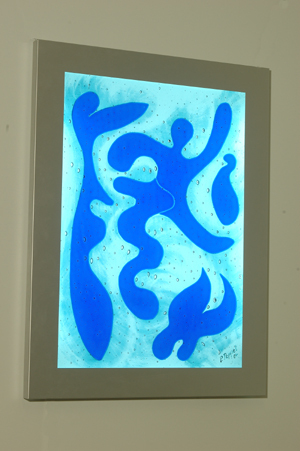 Glass design can also be applied as object art and in the context of product design. 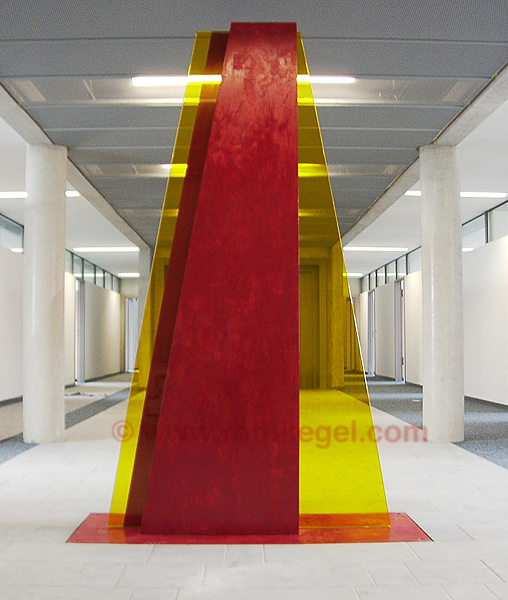 Photos by Peter Peppel – a rather different way to design walls. 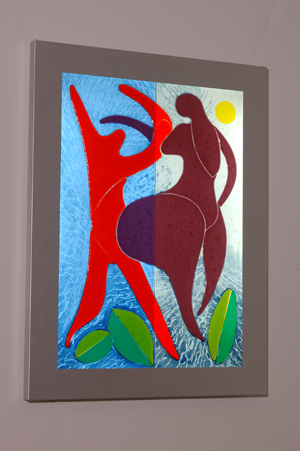 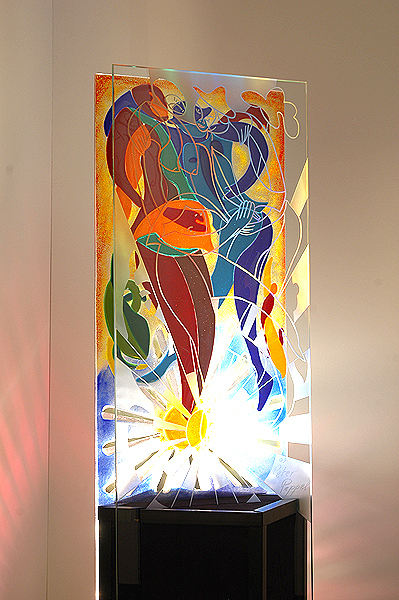 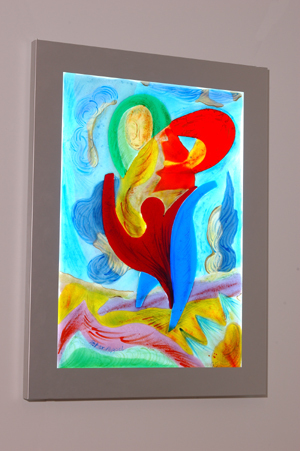 A freelance work by Peter Peppel, in Fusing glass and sand-blasting technique as an illuminated stela. 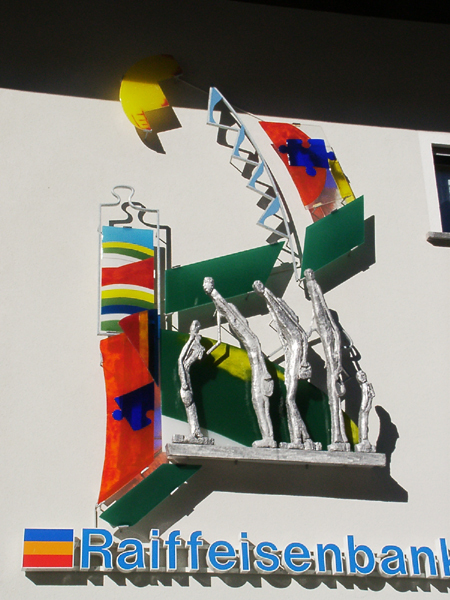 One of four stelas at the office of the Tax Authority in Schweinfurt, by Norbert Kleinlein – to which we had the privilege to contribute the lamination panes (2 x 10 mm float glass, with one to two layers of coloured Plexiglass).